Why hello! I’m Gabrielle Tozer, a YA author, journalist, editor and copywriter with a weakness for chicken-salted chips, statement necklaces and stringing words together. Born and bred in the regional city of Wagga Wagga, I now work and live in the heart of Sydney, Australia. In the past 12 years I’ve written and sub-edited for numerous titles, such as Cosmopolitan, Dolly, Girlfriend, Cleo, TV Week, Bride To Be, News.com.au, Prevention and The Canberra Times, as well as worked as a deputy editor, managing editor, chief sub-editor and senior copywriter for companies including Pacific Magazines, Bauer Media (ACP) and HOYTS Entertainment. For a full list, please click here and here. My debut novel THE INTERN won the 2015 Gold Inky Award and is out in Australia, New Zealand, Germany and the US. 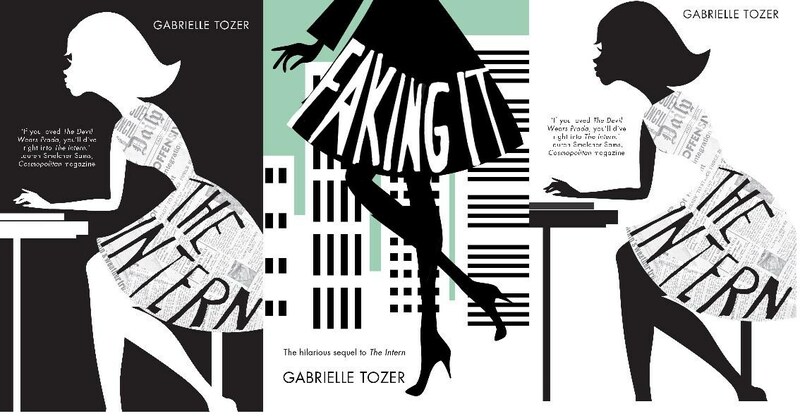 The sequel FAKING IT is out now and due for overseas publication next year. My third contemporary YA novel hits bookstores in 2016 (yes, that’s why I haven’t brushed my hair!) and my first children’s picture book, PIP AND POP ((illustrated by Sue deGennaro), is out in 2017. I’m also the founder of The Bottom Rung web series, which is an online hub to help young people gain confidence before entering the workplace, as well as a 2014 and 2015 Online Ambassador for the OneGirl ‘Do It In Dress’ campaign and 2015 ABC Heywire mentor. Quotes on creativity, chocolate and everything in between to print, pin and share – please credit me as @gabrielletozer on social media.